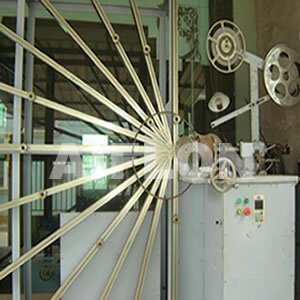 ﻿ Large Winder for SWG (Vertical Style) - China Large Winder for SWG (Vertical Style) Supplier,Factory - Cixi Aiflon Sealing Materials Co.,Ltd. Can make SWG with or without inner & outer ring, need not complex molds. Work pressure is changed with dia. Size controlled by air pump. Vertical style is suitable small workshop. Other thick. 7.5mm on request.